Luke is one of DSQ’s Senior Surveyors, with significant experience in geodetic, cadastral, engineering and hydrographic surveying. Luke graduated from University of Southern Queensland in 2000 having completed a Bachelor of Technology (Surveying). He also gained accreditation as a Surveying Graduate with Surveyors Board of Queensland in 2000. 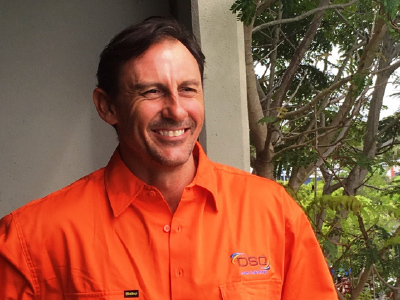 Luke has worked in private practice Surveying firms on the Sunshine Coast since 1996 and has completed various large scale residential land development projects and high-rise unit complexes in South East Queensland. Luke is DSQ’s Senior Surveyor for land development, construction set out, engineering surveys, detail surveys, data management, and quality compliance. He also assists with the development and training of our Surveyors.